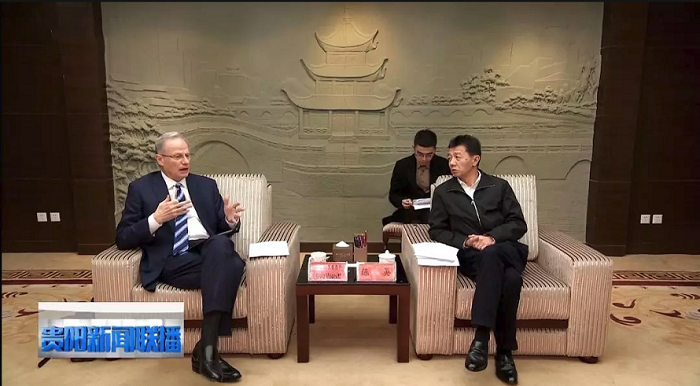 On March 23rd, the Deputy Secretary of the Municipal Party Committee and Mayor of Guiyang, Chen Yan, met with Craig Modesitt, President and CEO of ENFOS, to talk development strategy and Guiyang's implementation of a environmental data management platform. 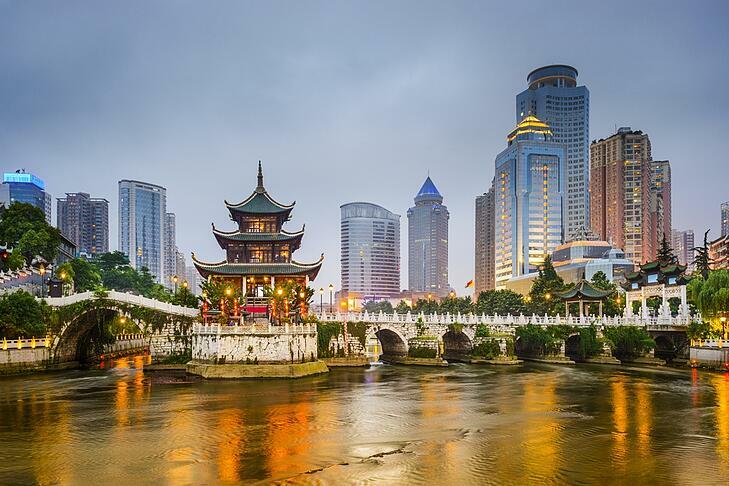 Both parties recognized the significant benefits that collaborative efforts would bring to Guiyang's environmental future. ENFOS's cutting-edge environmental data management technology aligns perfectly with Guiyang's vision for an efficient and effective solution for ecological sustainability. Craig Modesitt meets with Mayor Chen in Guiyang City. Mayor Chen explained how studying and implementing the strategic plan of the Nineteenth National Congress of the Communist Party of China allows Guiyang City to advance towards poverty alleviation, effective use of big data and ecologically strategic actions. Mayor Chen pledged to significantly support the implementation of ENFOS in Guiyang. Craig Modesitt then thanked Mayor Chen for the support and expressed his willingness to participate in the Guiyang Big Data Expo. Both parties agreed that practical cooperation will accelerate the strategic layout of environmental big data management solutions throughout China, with Guiyang as the main axis. Also present was Xu Hao, Executive Vice Mayor of Guiyang Municipal People's Government, Eric Fang, President of the National Sustainable Development Research Center (NCSD) and President of ENFOS China, Ren Qi, Vice President of Hunan Kylin Information Engineering Technology Co., Ltd., Qi Xinchao, President of Guizhou International and Domestic Public Relations Association, and Liu Benli, Secretary-General of Guiyang Municipal People's Government.